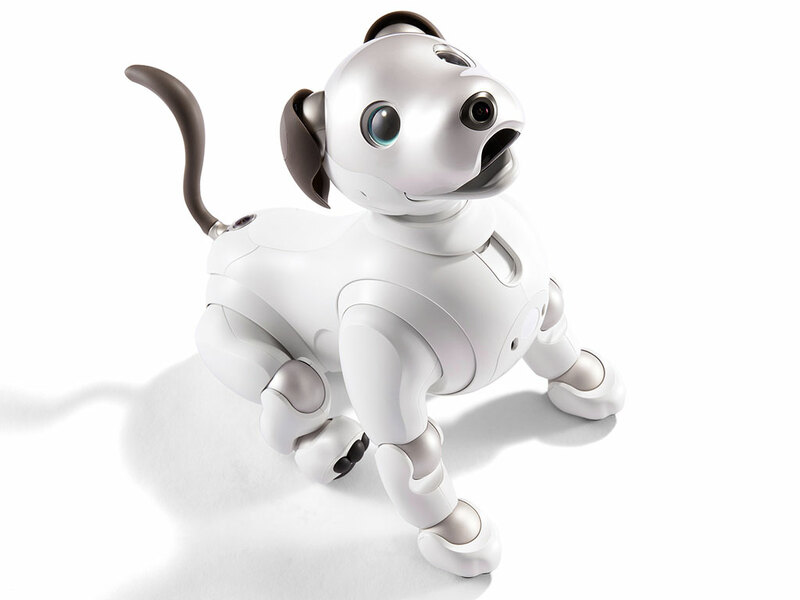 Aibo is a friendly robotic dog whose personality and behavior evolves over time. 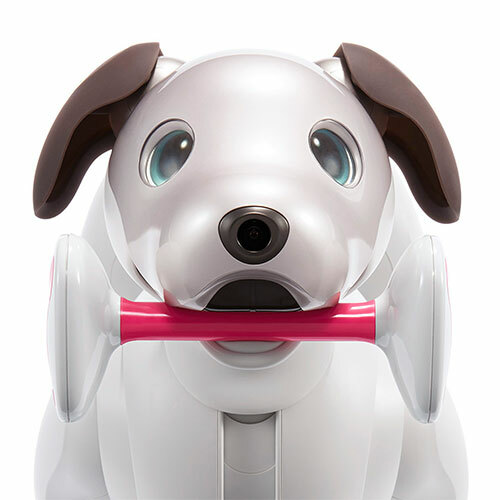 It can recognize its owner's face, detect smiles and words of praise, and learn new tricks. And of course, it loves to be petted. Even robot dogs love a good bone, or "Aibone." I see you...with my nose camera! 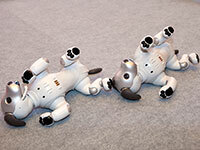 Aibo finds its way with a mapping and navigation tail camera. 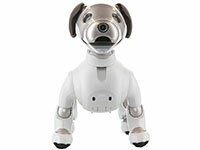 Aibo uses image recognition to detect people nearby. 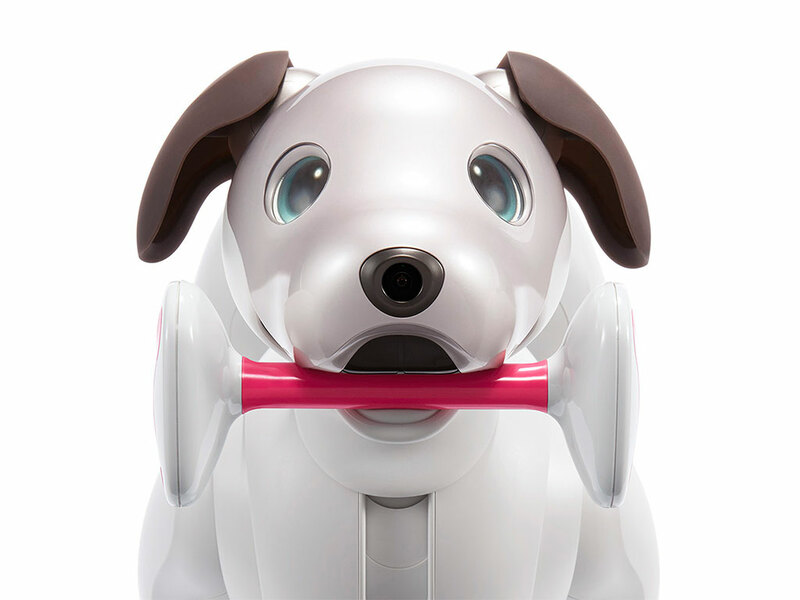 Things Aibo loves: attention, and anything pink. 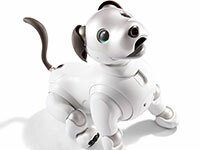 Things Aibo doesn't love: heights and tight spaces. 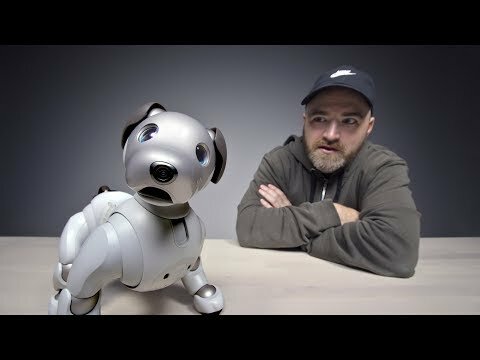 Aibo can use its AI to learn to recognize up to 100 different faces. 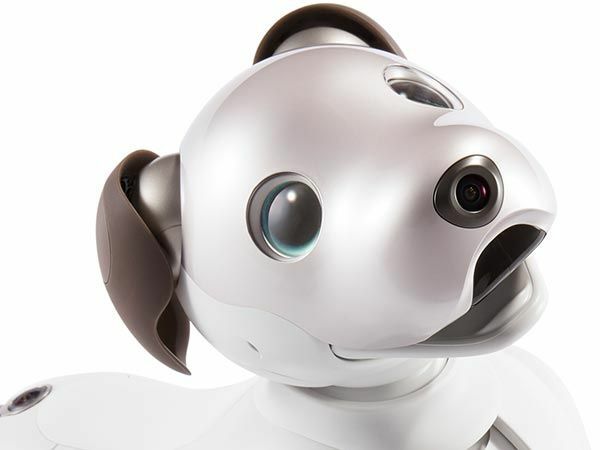 Like a real puppy, each Aibo develops differently based on its everyday interactions and environment. 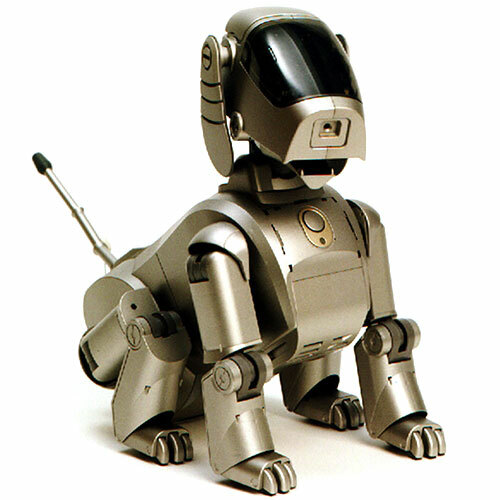 No two Aibo personalities will be exactly the same. 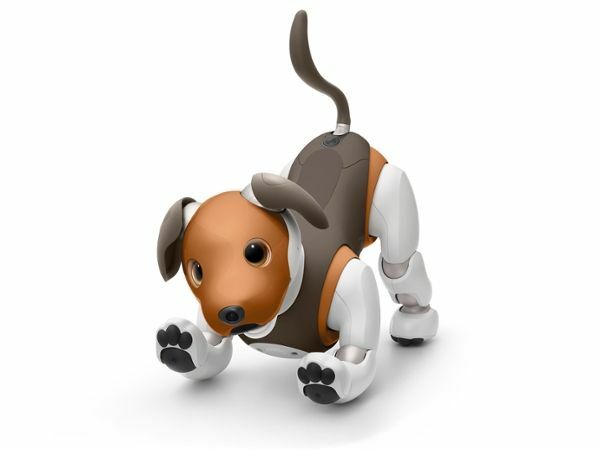 Tell Aibo to "learn this" and it will give you its paws so you can demonstrate fancy paw dancing moves for it to memorize. 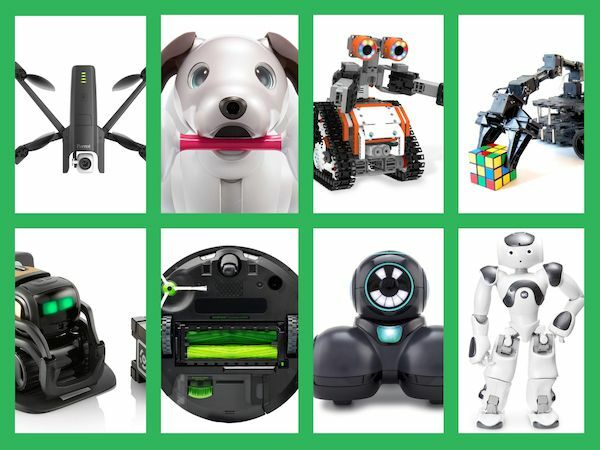 Ask Aibo to "sing a song," and it will sit down and sing the jingle from previous generations of the robot. Model: ERS-1000. 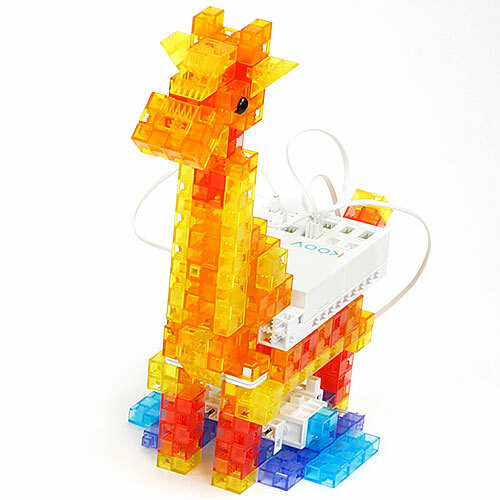 Cloud-based AI engine. Able to recognize and remember faces and voices. 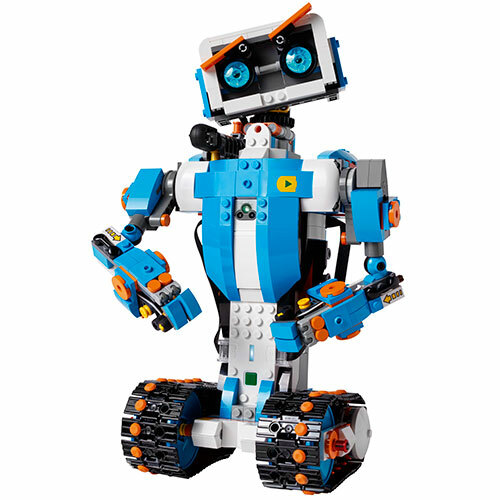 Adaptive and unique personality based on interactive learning. OLED display eyes that blink and close. 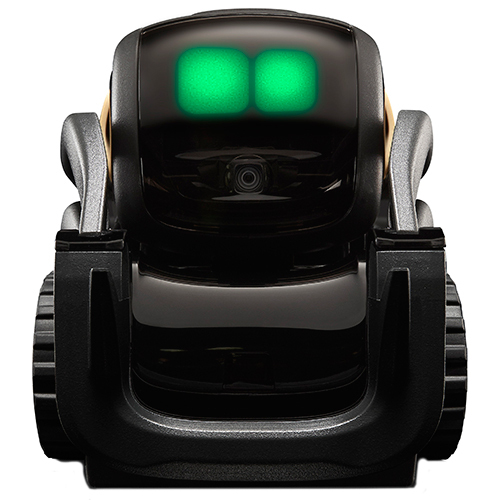 Capable of performing mapping, SLAM, and obstacle detection. Self-charges when low on battery. 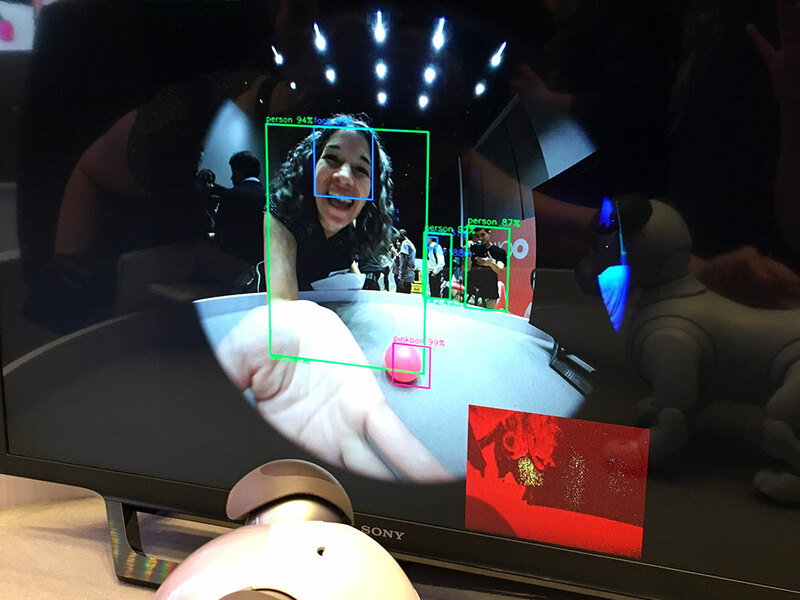 Front camera for image recognition. Fisheye camera (near tail) for SLAM, or simultaneous localization and mapping. 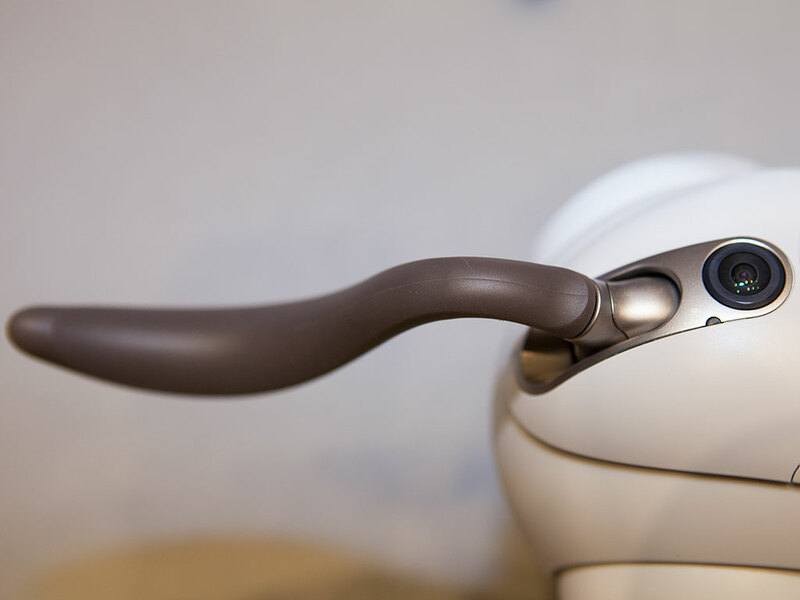 Time-of-flight sensor, two IR range sensors, four microphones, capacitive touch sensors (back, head, and jaw), two 6-axis motion sensor (3-axis gyro and 3-axis accelerometer) in the head and torso, motion sensor, light sensor, and four paw pad contact sensors.